I’ve been trying to keep myself busy at home so I don’t go crazy waiting for the arrival of Addison. In the latest Better Homes and Gardens magazine I came across the cutest little felt reindeer and decided that I would make one and turn it into a decoration for our Christmas tree. Instead of spending money on new decorations all the time for our Christmas tree, every year Charles and I pick one new decoration each. This year we will have to buy a third decoration, one for Addison. I’ll try and find a “my first Christmas” decoration for Addi. As with everything in my life though, I like to make things myself, so in addition to our one decoration each I generally find myself making some fun little extras for the tree! There are also cute little ginger bread men made from felt (not the ones in the magazine) that I have found and really want to make. Perhaps I will save that for later in the week in case Addi still hasn’t made an appearance. 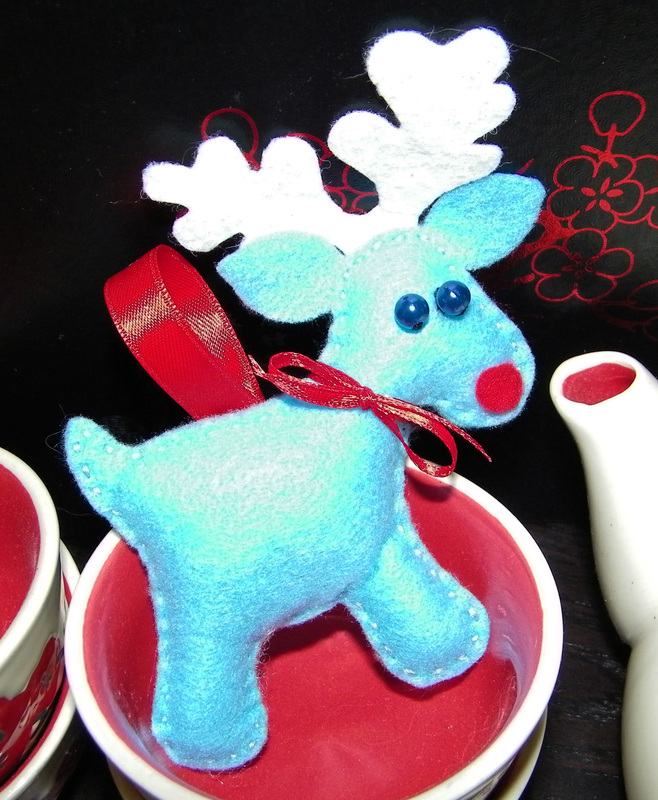 I’ll probably make more than one reindeer too! Despite the pattern being in the latest edition of the Better Homes and Gardens magazine, I have made a copy of the pattern and added directions on how to make these cute reindeer (I actually made mine slightly different to how the magazine suggests…my way is in fact less complicated and more affordable by using stiffened felt for the antlers). I have of course uploaded the PDF pattern to the free downloads “Patterns” section of the website for you to make them yourself and decorate your Christmas tree!